Punjab and Haryana High Court Result 2019: Below are the latest results published by Punjab and Haryana High Court - High Court of Punjab and Haryana, Chandigarh / highcourtchd.gov.in. The recent result announced by the organization is Clerk in Subordinate Courts of Punjab Result 2019. 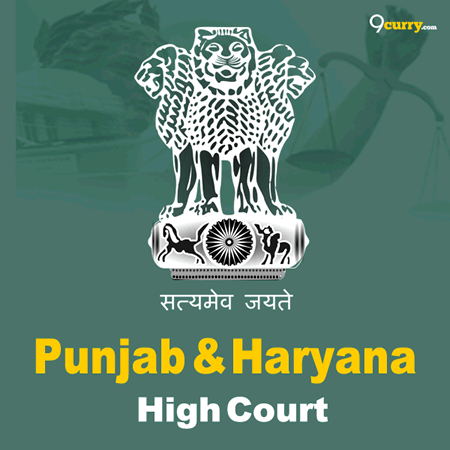 Punjab and Haryana High Court Clerk in Subordinate Courts of Punjab Result 2019: High Court of Punjab and Haryana, Chandigarh has announced the Result on 02 Apr 2019 for Punjab and Haryana High Court . 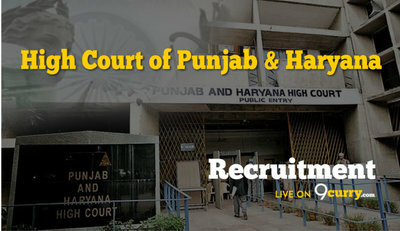 Punjab and Haryana High Court Clerk Result 2019: High Court of Punjab and Haryana, Chandigarh has announced the Result on 08 Mar 2019 for High Court of Punjab and Haryana, Chandigarh Clerk Exam 2019 . Punjab and Haryana High Court Stenographer Merit List 2019 (from Gen Waiting List): High Court of Punjab and Haryana, Chandigarh has announced the Result on 06 Mar 2019 for High Court of Punjab and Haryana, Chandigarh Stenographer Exam 2019 (from Gen Waiting List) . High Court of Punjab and Haryana, Chandigarh Merit Wise List of candidates recommended for appointment to the posts of Clerk in Subordinate Courts of Punjab: Society For Centralized Recruitment of Staff In Subordinate Courts (S.S.S.C.) has announced the Result on 28 Jan 2019. Punjab and Haryana High Court Stenographer Result 2018: High Court of Punjab and Haryana, Chandigarh has announced the Result on 13 Dec 2018 for Stenographer Exam 2018 . Punjab and Haryana High Court Stenographer Grade-III Result 2018: High Court of Punjab and Haryana, Chandigarh has announced the Result on 05 Dec 2018 for ourt of Punjab and Haryana, Chandigarh Stenographer Grade-III Result 2018 . Punjab and Haryana High Court Clerks Result 2018: High Court of Punjab and Haryana, Chandigarh has announced the Result on 22 Nov 2018 for punjab-and-haryana-high-court . Punjab and Haryana High Court Stenographer Grade III Result 2018: High Court of Punjab and Haryana, Chandigarh has announced the Result on 09 May 2018 for Stenographer Grade III Exam 2017 . Punjab and Haryana High Court Stenographer Grade-III Waiting List 2018: Punjab and Haryana High Court has announced the Result on 06 Apr 2018 for the exam . Punjab and Haryana High Court Clerk Waiting List 2018: Punjab and Haryana High Court has announced the Result on 06 Apr 2018 for the exam . Punjab and Haryana High Court Clerk 2017 Final Result 2018: Punjab and Haryana High Court has announced the Result on 04 Apr 2018 for the exam .